There are a plethora of avenues through which you can invite customers to communicate with you. One such avenue, which you may have considered adding to your e-commerce website, is a live chat feature. 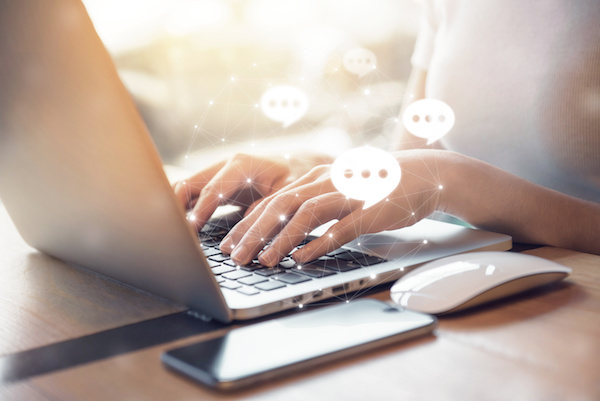 A live chat allows you to speak directly with your website visitors, differing from an instant messenger application, which only facilitates communication between you and the people with whom your company has already connected. Here are a few key benefits of live chat. For various reasons, customers prefer different methods of getting in touch. Many like having a live chat option, and the only way to get these people to reach out when they want assistance might be via a chat feature on your website. Additionally, even those who don’t need to use the live chat will see that your website offers it, and think more highly of your customer service as a result. If your company has multiple people working on customer service, it can be difficult or slow to figure out what your website’s “pain points” are. (Pain points are are unsolved problems or unaddressed needs that customers have when navigating your business.) Customer service issues that are addressed via live chat, however, are all saved and stored in a straightforward, easily reviewable format. Going through your chat logs is a great way to accelerate the process of determining your business’s pain points and fixing them for future customers. It’s called “live chat”, not “chat by carrier pigeon”. It’s fast. When someone has a problem that they need solved immediately, they don’t want to send off an email and wait around for a reply. They want to talk to someone. Not only are customers with pressing issues more likely to reach out if they see you have a live chat feature, but they’re more likely to actually get the quick resolution they seek, too. 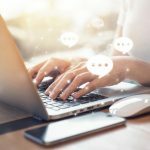 Despite all the benefits of live chat, a new study indicates that a mere 9% of websites use a live chat feature. Thus, depending on the specifics of your industry, having a live chat feature on your website could give you a competitive advantage over about 91% of your competitors. With groups who tend to value a website having a live chat option, such as millennials, that competitive advantage might be the difference between customers buying from you and buying from someone else. Interested in adding live chat to your website? Numinix offers a live chat widget which makes the process easy and cost-effective. To learn more, please contact Numinix. What benefits of live chat can you foresee for your e-commerce website? Let us know in the comments below.